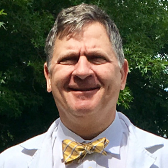 Dr. R. Scott Morris obtained a Bachelor of Science degree in 1984 from Hampshire College in Amherst, MA and graduated from the Sackler School of Medicine in New York, NY in 1990. He completed his Medical Residency at Strong Memorial Hospital in Rochester, NY in 1993 and his Cardiology Fellowship at Hartford Hospital, the University of Connecticut in Hartford, CT in 1996. Dr. Morris is Board Certified in Internal Medicine and Cardiology. He is on staff at Samaritan Hospital and St. Mary’s Hospital in Troy, NY. Dr. Morris’s cardiology specialties include general cardiovascular disease, echocardiography, nuclear medicine, congestive heart failure, and hypertension. Dr. Morris is married and has three children. He is an active exercise enthusiast and enjoys distance running, swimming and spending time with his family.